Rubs and Sheds out here are no different than anywhere else. We have shredders and light ones. Some say more shredder type than compared to their home state. At right about as much of a shredder rub to be found anywhere. 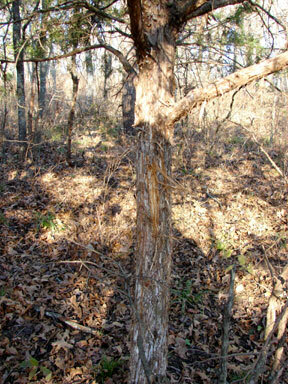 If this quality of deer sign does not get a hunter excited then re-calibration is in order. 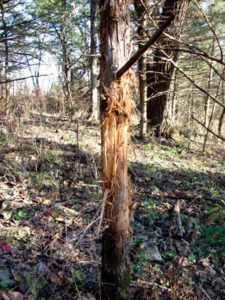 This is one good rub possiblyindicating a trophy whitetail deer has been there. A challenge with our fairly large population of non-resident hunters traveling in from big woods states is such sign while scouted for is often overlooked. 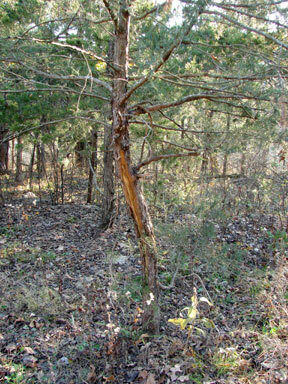 Overlooked by not being on perceived good deer spots because an aerial did not look good. Much land is bypassed due to poor looking aerials. This rub on this one spot is such an example. 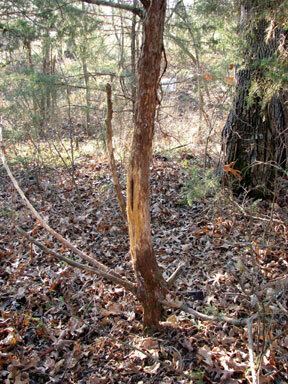 Members are encouraged to pre season scout their potential deer hunting spots, select tree stands, etc. Scouting in late winter or spring, glass fields pre season, scouting trails, rubs and scrapes, etc. Non-resident hunters without the benefit of pre-season deer scouting will be placed on lease land with this quality of sign. We do encourage non-residents to come early or spend their first couple days of a hunt scouting a couple of spots. Do not consider this quality of rubs a scarce item. They can be found by anyone willing to walk. The spot this rub came from. A quail hunter found this rub on a 1/4 section. This spot was recommended to several over several years. Some of whom hunted it while most passed on it for what they considered better spots. It did come well after securing this lease a trophy was taken. 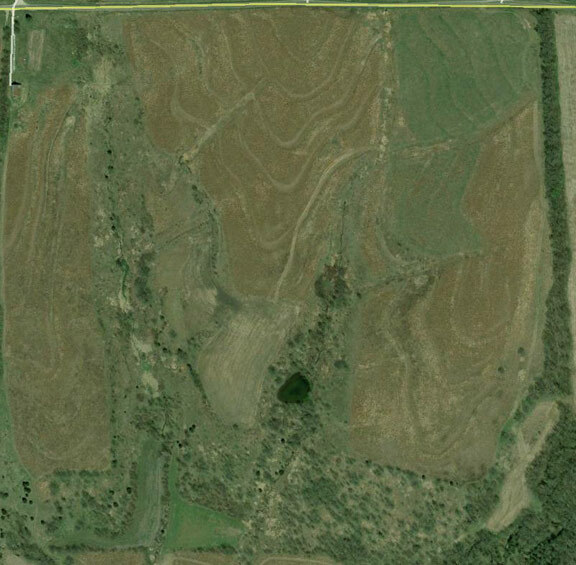 If it were not for quail hunters paying for this land for years any deer hunter would not have access to it. That story is repeated many times each year. Deer hunters often dismiss such accounts. It is a matter of the way the world is rather than the way we want it.